Massive student debt is piling up. And so are candidates' solutions. The 2020 Democratic candidates are mostly on the same page — or at least the same bill — when it comes to tackling the student loan debt crisis. Sens. Elizabeth Warren, Cory Booker, Kamala Harris, Kirsten Gillibrand and Rep. Tulsi Gabbard all endorsed Sen. Bernie Sanders' College for All Act in 2017. The $47 billion plan would eliminate undergraduate tuition and fees at public colleges and universities. It would also lower interest rates on student loans, and allow those carrying existing debt to refinance their loans. Harris, Booker, Warren and Gillibrand have since signed on to Sen. Brian Schatz's Debt-Free College Act, which also addresses costs beyond tuition, such as books and living expenses.The Hawaiian Democrat's more ambitious plan carries an even larger price tag — an estimated $90 billion. College debt in the United States has increased 200 percent since 2006 and now exceeds $1.5 trillion, second only to mortgage debt. There are about 43 million student loan borrowers nationwide. President Donald Trump, meanwhile, is pushing a provision that would cap the amount of federal aid a student could take out in a bid to halt runaway debt. "Student loan debt. I'm going to work to fix it because it's outrageous what's happening. You're not given that fair start," the president said earlier this month. "We're going to work on that very soon. I've always been good with loans and — I love loans. I love other people's money." 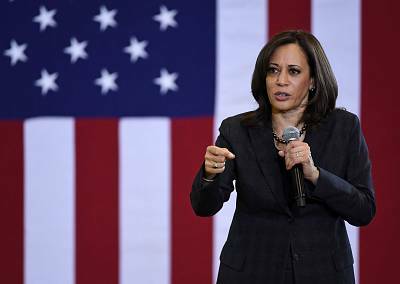 Sen. Kamala Harris, D-Calif., a former prosecutor, has said she plans to go "after predatory private colleges" that lure students with empty promises of profitable jobs while leaving them in a pile of debt. A proponent of the Schatz bill, she has called the debt crisis "one of the biggest challenges facing our country" and is pushing for debt-free college and setting up a system for students to refinance their debt. 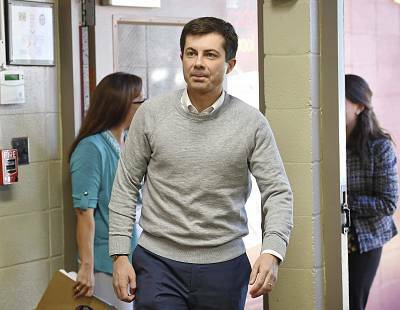 Mayor Pete Buttigieg has a personal stake in the student loan battle — his husband, Chasten, is a teacher with a master's degree that's "left us with a lot of debt." The South Bend, Indiana, mayor told Vice earlier this month that he'd like to improve accessibility to the Public Service Loan program, and expand the cap on how much debt is forgiven in the Teacher Loan Forgiveness program. 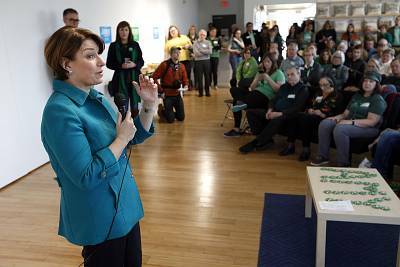 Sen. Amy Klobuchar, D-Minn., has separated herself from her fellow 2020 candidates in the Senate by declining to sign on to either the College for All Act or the Debt-Free College for All Act. "I am not for free four-year college for all, no," the Minnesota senator told a CNN town hall in February. "If I was a magic genie and could give that to everyone and we could afford it, I would." 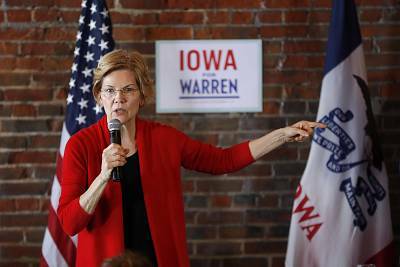 Instead, she is in favor of extending and expanding Pell grants — federal student aid — and providing free two-year community colleges. She also wants to make it easier to refinance debt. She assured students at the town hall she had some idea about what they were going through. "My husband had tens of thousands of dollars in student loans, and I married him anyway," she said. 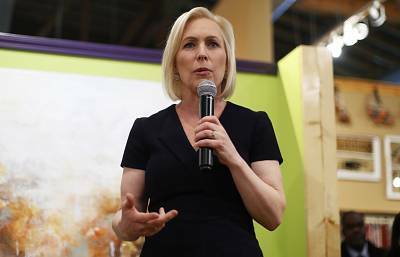 Sen. Kirsten Gillibrand, D-N.Y., has vowed that if elected president, she'd immediately move to allow borrowers to refinance loans down to a four percent interest rate. Gillibrand, who backs the Schatz bill, has been speaking out for years against the high interest rates that can hit student borrowers — she introduced her Federal Student Loan Refinancing Act in 2013. 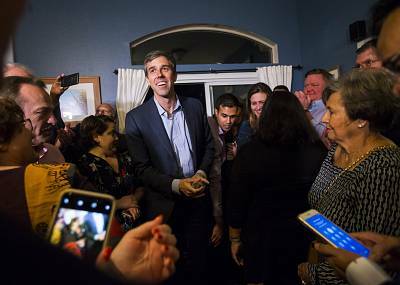 Beto O'Rourke is proposing tuition-free community colleges — "You want to go to community college, you go without paying a single dime," he said at a town hall in South Carolina earlier this month. The former Texas congressman added that he also favors making public colleges and universities tuition free as well. "It will cost us a little bit up front, but it will produce a return far greater than that investment," he said. 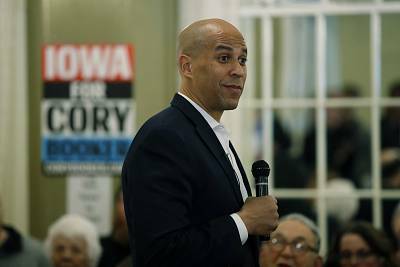 Sen. Cory Booker,D-N.J., is offering what he's said could be a long-term solution to the problem — establishing a savings account with $1,000 in it for every baby born in the U.S. Depending on family income, up to another $2,000 a year would be added to the account, which could be accessed for higher education payments or home ownership after the child turns 18. Booker's also co-sponsoring the Schatz bill, and has pushed for tuition-free community colleges, simplifying the student loan process and refinancing existing loans. 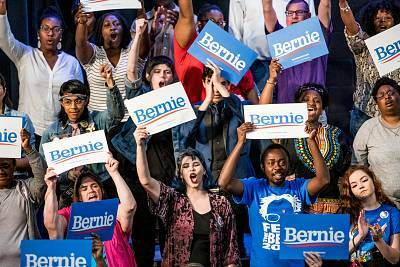 Sen. Bernie Sanders, I-Vt., made student loan debt the centerpiece of his 2016 campaign for president, and pushed eventual Democratic nominee Hillary Clinton to adopt his call for tuition-free public colleges and universities. The Vermont senator's College for All Act would establish a partnership with states to fund the measure, and he's also called for lowering the interest rate on student loans and enabling borrowers to refinance existing loans. The legislation would be funded by fees on Wall Street trades. Sen. Elizabeth Warren, D-Mass.,calls the student debt problem a "national emergency." She's signed onto Schatz's Debt-Free College for All Act, and has sought to enable borrowers to refinance their loans, introducing the Reduce Student Debt Act in 2016. A long-time law professor, the Massachusetts senator also introduced a bill to cap student loan interest rates in 2013. Warren he plans to include some form of loan forgiveness in her 2020 plan on the issue, which she has yet to unveil. 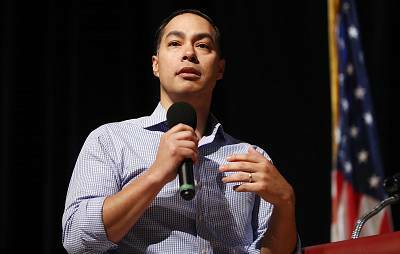 Julián Castro says he wants to ensure students learn important trade skills, and is focusing on community colleges and apprenticeship programs instead of four year colleges. "We'll work to make the first two years of college, a certification program or an apprenticeship accessible and affordable, so millions more people get the skills they need to get a good job without drowning in debt," the former Housing and Urban Development secretary said in January. As for existing student loan debt, he told Salon, "We need to erase it." Rep. Tulsi Gabbard, D-Hawaii, was a co-sponsor of the House version of Sanders' College for All Act, which would make college tuition free for students from families earning $125,000 or less. The Hawaiian congresswoman was also a co-sponsor of the HELP for students and Parents Act, which would give tax credits to businesses that help employees pay off student debt. 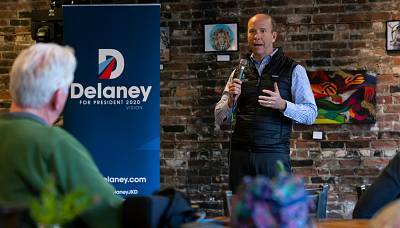 John Delaney is a proponent of a "Pre-K through 14 education" model, adding on to the current kindergarten through grade 12 education. That would include making two years of community college or technical training part of public education. The former Maryland congressman plans to make higher education more affordable by reducing the costs of student loans, and giving more grants to low-income students. He's also pushed to change the law to enable borrowers to discharge their student loan debt in bankruptcy. 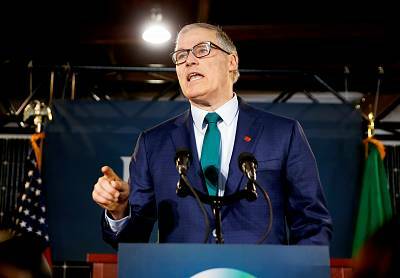 Jay Inslee, the Washington governor, has centered his national campaign on climate change, but unveiled a plan for tackling higher education costs in his home state in January. The College Promise grant will offer financial aid for more than 93,000 students by 2021. "A student's financial situation should not prohibit them from pursuing their dreams," Inslee said. 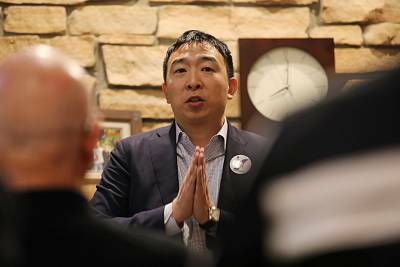 Andrew Yang, the New York entrepreneur, has said he wants to focus on bringing college costs down, in part by "a gradual phase-in of a desired ratio of administrators to students of 1 to 30" instead of the current 1 to 21. He noted that ratio was 1 to 50 in the 1970s. He also wants to require universities with endowments of over $30 billion to contribute 1 percent of their total endowment to establisha new university in Ohio.